and the right kind of day is jeweled balm for the battered spirit. A few of those days and you can become drunk with the belief that all's right with the world. We have been busy grabbing as many days of sunshine as we can before the seasons turn over once again and we head into autumn. Grabbing the days and making the most of them. 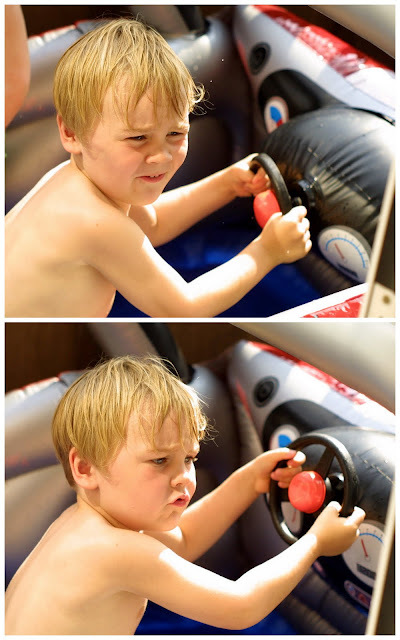 When Granny & Pop were here they got the boys a 'sports car' inflatable pool from a car-boot sale. Although it took me about an hour to inflate it was definitely worth the effort with all the splishing and splashing fun that was had in it. And it's so very exciting that 'Aunty T' has escaped the snow in New Zealand to enjoy the last of the summer sun with us. Although we were supposed to be on a 3 week holiday in Italy right about now (but we won't talk about that. I'm still getting over this) we are 'making do' with the summer sun that good ol' London is providing. Luca's first experience of 'grass rash'. 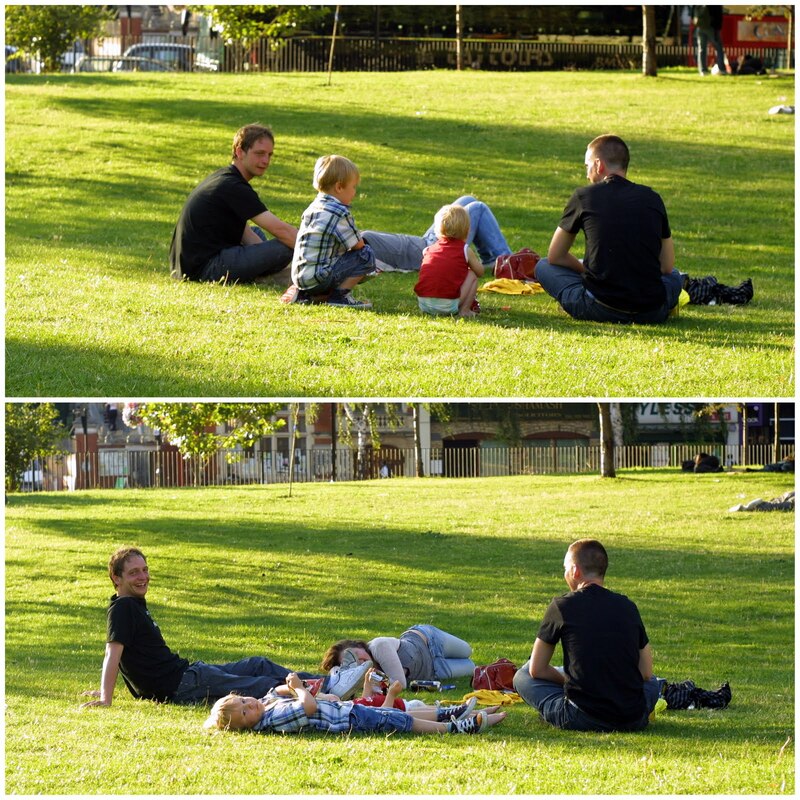 Most weekends over the past few weeks have been presenting us with picnic opportunities. Summer Loving. It's all good. And has certainly got me believing that all is right with the world. Oh my gosh. BRING ON THE HEAT! I am busy thinking of things for our Summer fun list and I can't wait! Hmmm...at least the UK does winter well i.e. insulated for it and Christmas in the cold! That race car pool is altogether toooo awesome! Enjoy the sunshine! oh those sun spark photos! swoon!